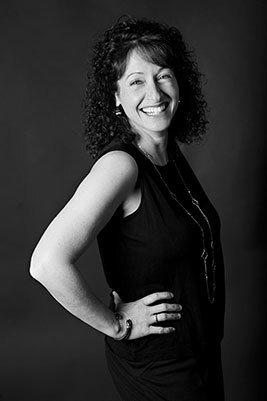 Amy began her career as a photojournalist over twenty years ago at a chain of newspapers in Massachusetts. In her time at the paper, Amy discovered the thrill of being a photojournalist. Every new assignment was a passport into someone's life and a new opportunity to learn about life and share her experience. At this point, she began using her skills to photograph weddings by assisting her colleagues with their wedding work. Wanting to explore the American West and return to a society of old fashioned values and traditions as she had experienced in Vermont as a college student, Amy moved to Jackson Hole, Wyoming. She worked and lived on ranches, capturing the connection between ranchers, their livestock and the land; documenting a lifestyle in threat of extinction. Her words and images were published in local newspapers and magazines, and exhibited in galleries and museums. Amy met her husband Kevin while living in Wyoming. They have now been living in Annapolis for twenty years, along with their two daughters, Sophie and Eliza, and dog, Sawyer. 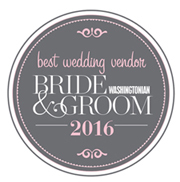 With the help of her associate David Spence, Amy has been voted "One of Washington's Best Wedding Photographers" by the Washingtonian Magazine for the past seven years. It is truly an honor and a thrill to become part of the lives of each new couple that we work with every year, and to be chosen to capture the memories of the most important chapter in the story of their love. Today's engaged couple invests so much time and work into planning every detail of their wedding. We are responsible for capturing it all; the beauty of the setting, joyous moments between loved ones, the budding rose on a single boutonniere. Our everlasting images will shape the memories of a couple's wedding day for their entire lifetime and for generations of their family to come. What other part of a wedding has the power of photography? Out of all the wedding expenses a couple must budget for, not only is photography the most important part, but it is the only thing that will increase in value over time. Our clients choose us because they know how to invest their money wisely. I accept a maximum of 20 weddings per year in order to form a relationship with every couple to provide them with an amazing, highly personalized experience and the best quality imagery in the industry. Prior to the wedding, we work closely with them in their planning process to ensure that their wedding day runs smoothly and that they get to enjoy every minute of their wedding day, including the time spent taking group shots! Our goal is to capture the beauty, joy and spirit of their day in an artistic, photojournalistic and unobtrusive way. We are known for our unobtrusive and easygoing approach, yet we know when to take charge of a situation to get the "must have" shot done! Our experience gives us the confidence to know that we will capture all of the traditional wedding images plus hundreds of unscripted moments, so we can relax and have fun with people, which reflects in their faces. I have 25 years of experience as a wedding photojournalist and business owner. My post production includes no outsourcing of the editing, processing or design work, and no drop shipping; I personally edit, retouch and inspect every print and album that leaves my studio. In other words, I am a total perfectionist when it comes to my work! I would love to meet with you sometime to show you more of our work.